Laneige is a Korean beauty brand owned by Amore Pacific, launched in 1994. The brand name is derived from a French word - La Neige, which means "snow". This brand is reputable for providing skincare products using sustainable water-supplied technique, known as the Advanced Water Science. I was sent a couple of items from YesStyle, and one of them was the Laneige Lip Sleeping Mask. I have really enjoyed using this and I can't wait to share my experience with you! 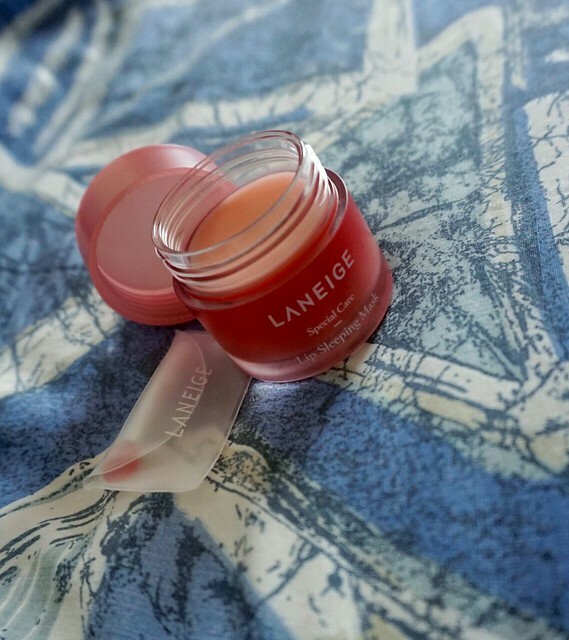 The Laneige Lip Sleeping Mask functioned as a special care product that helps to activate and maintain transparent and moist skin, based on the Laneige Moisture Wrap™Technology. It helps to purify the damage and stress such as from the substances that you applied onto your lips (lipstick, lip balm, lip gloss). I have been wearing lip stains everyday since I started work because I wanted to look fresh and energetic throughout the day. This product came along when I needed to take care of my lips the most. 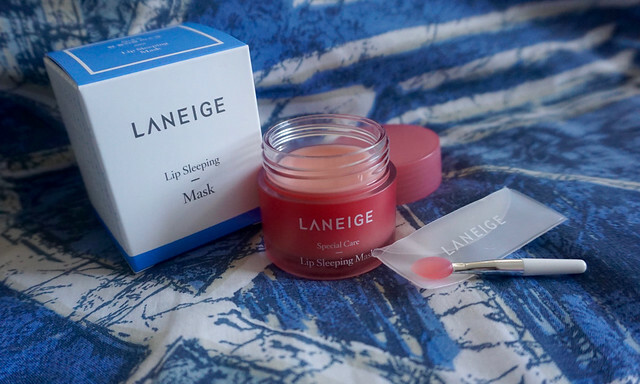 The Laneige Lip Sleeping Mask comes in a 20g size container (NZD 29.58 on YesStyle.com) and is applied onto the lips (like a thick layer) before bed, and gently wiped off with tissue on the next morning. It has a lovely berry mix complex that provides moisturising and antioxidant effect for your lips. Even though I applied a thick layer, the texture is light and it doesn't give you the sticky and unpleasant feelings on your lips. The combination of scent and texture gave me a relaxing feeling. When I receive this product, my lips were really dry and some dead skins were left on my lips from the lip balm and lip stains that I applied. Could be due to the cold winter as well, it became uncomfortable and I started biting my lips, or using my fingers trying to peel them off - yuck. This mask works perfectly to remove the dead skins and to moisturise my lips. The effect was almost piimmediate. My lips felt soft and "full", definitely saw improvement in appearance and texture. 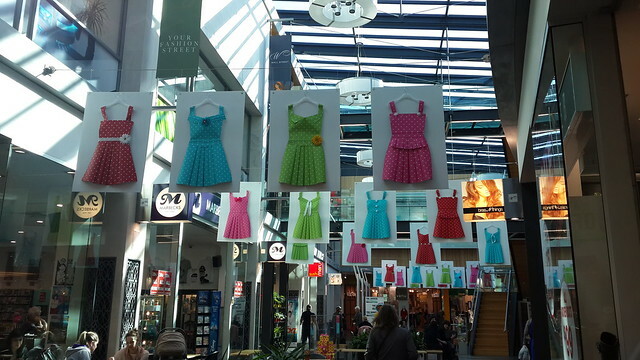 It is such a cool idea to make dresses out of paper. So creative! We are so privilege to be living in this century, where we have so many designs of dresses out there that we can choose, buy and wear! I love to own dresses. It is so easy to accessorise and would be a choice to-go when going on a date or celebrating any special occasions. I love wearing short dresses. That is because I always wanted to look taller than I am. Haha. On the other hand, I am afraid that wearing long dresses will make me look shorter than I am. However, recently I started to explore and try on long dresses. 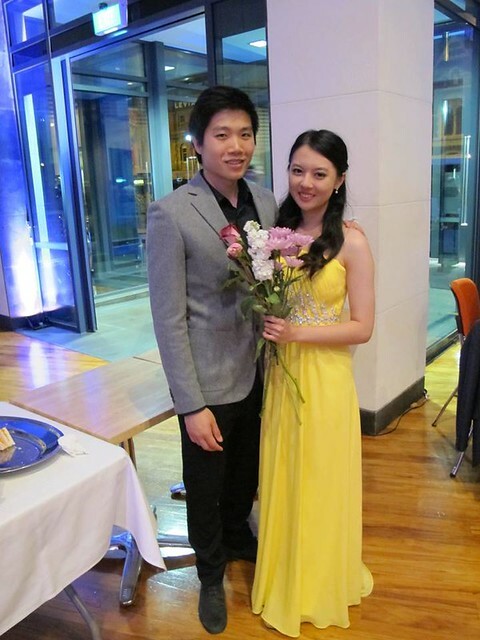 I attended his graduation ball and wore a yellow long dress. I am loving it!! I just love wearing dress in general! Each time when I go shopping, I would head to the dress-tination and see if there's any to my liking. Do you have a special dress in your closet that you would wear on a special occasion? And do you have a casual dress to wear on a casual-dress day?